This is a guide about making a fall floral wall hanging . You, too, can make lovely floral wall hangings to decorate your home and coordinate with your decor. You can give two gifts at once with this fan by secretly putting a pin in it. 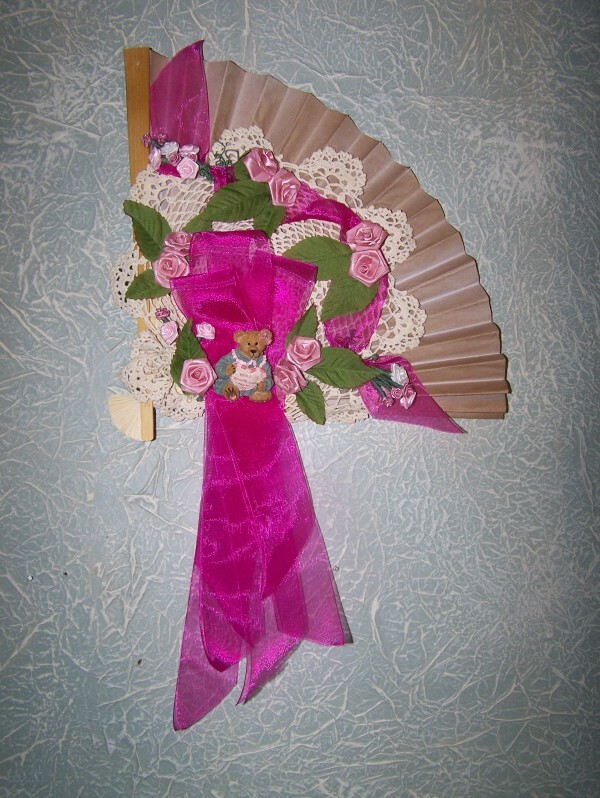 I used a floral spray to soften the stark white of the fan then glued the doily to it. 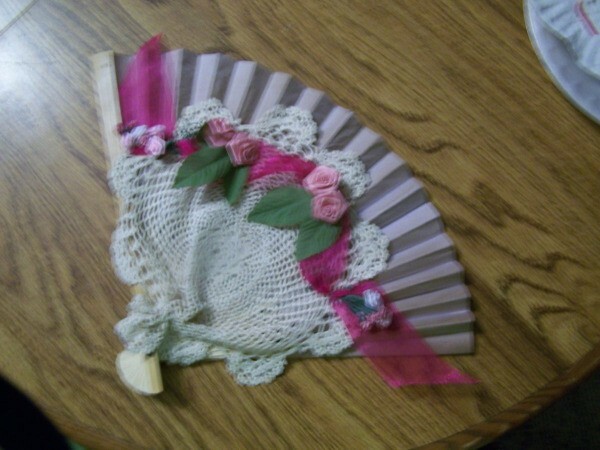 I gathered the bottom portion at the handle point of the fan with needle and thread. 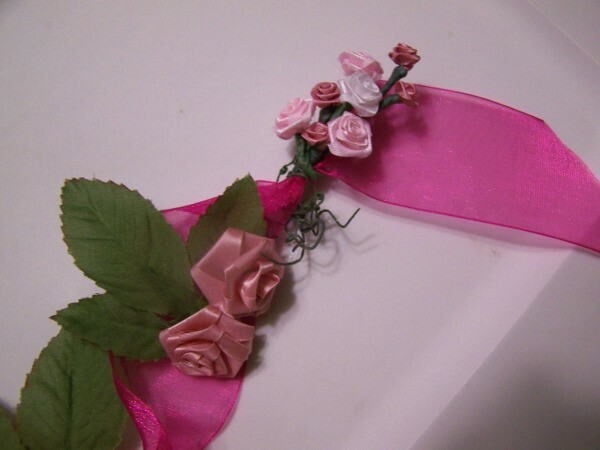 Start by making little nosegays of roses as in the one photo. 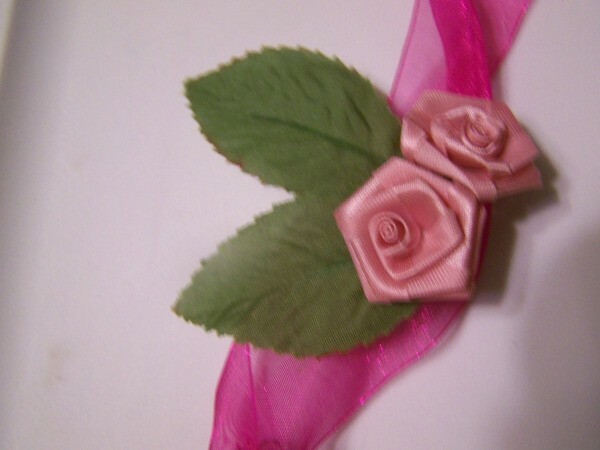 Glue a rose to leaves for a couple of sets. Gather the ribbon at the points where you want your nosegays and wrap the wires around the ribbon. 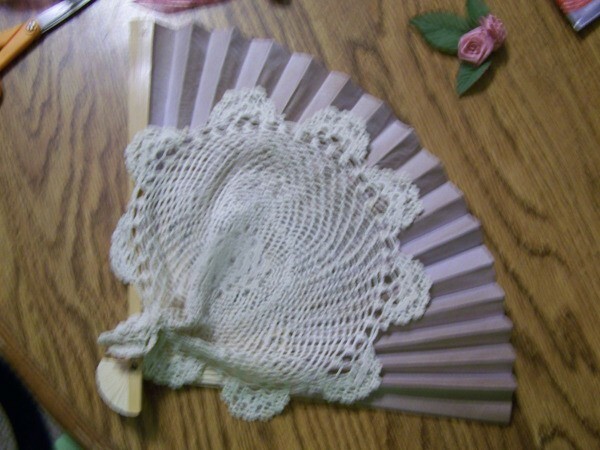 Using your hot glue secure to the doily right behind where the gathered ribbon will be placed. 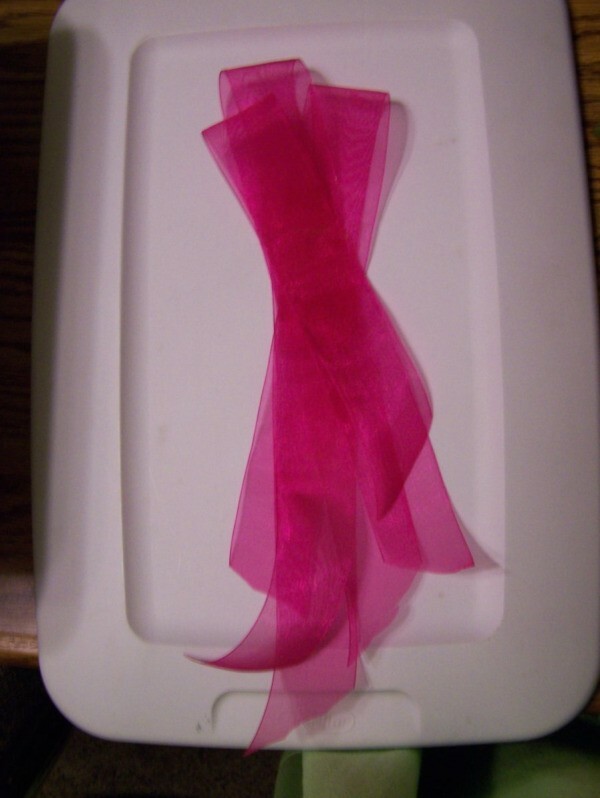 Glue gathered ribbon with nosegays in place. Make three long loops of different lengths for the backing for your pin and glue them in place. 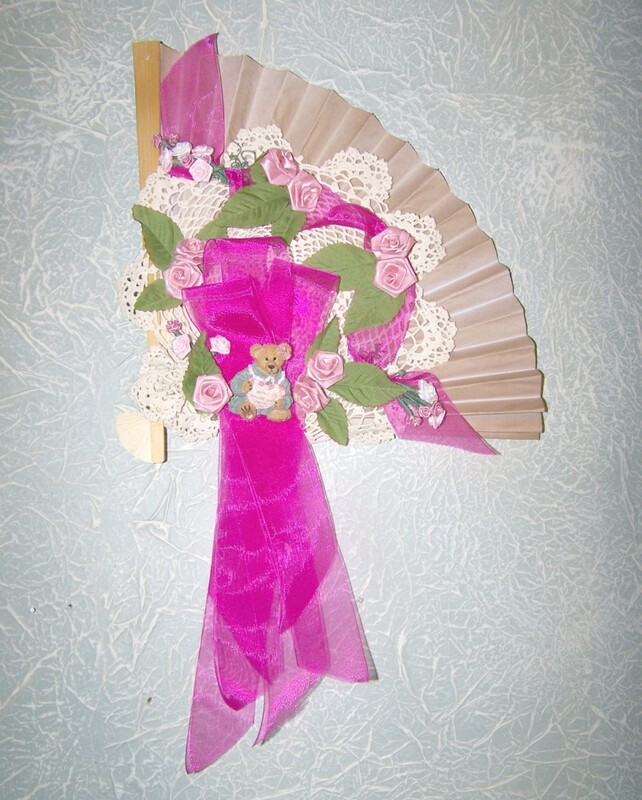 You can add more nosegays over the ribbon streamers and a small decoration. I used a teddy bear. Pin your pin to it. 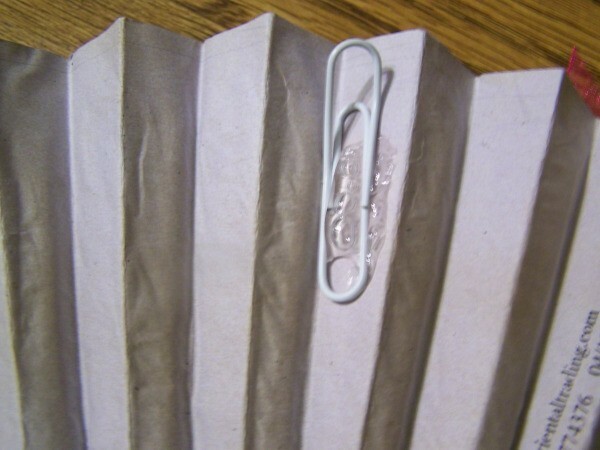 Refer to the photo of the back of the fan for an easy hanger made from a paper clip. Saw this one on the site. Very pretty, and could easily be done in Holiday or choice colors. I love it.